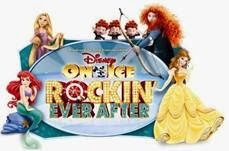 Fostering girls' creativity & confidence. 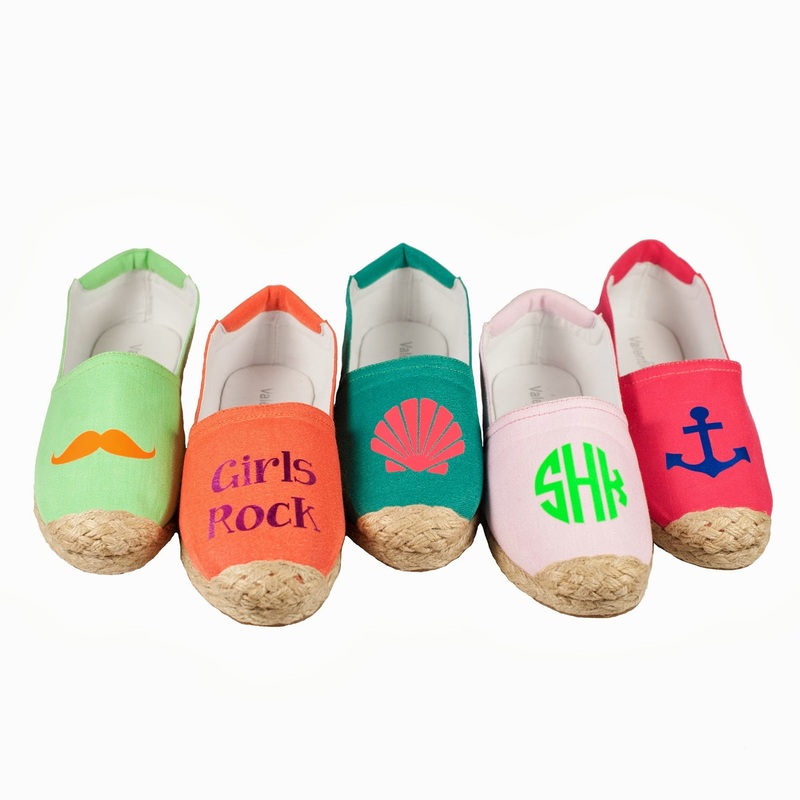 Espadrilles girls customize to create their own signature style. A giant leap for girlkind! I just recently found out about Valentina's Kickstart Campaign and since I thought it was so wonderful I just had to share it with you! It started with my daughter. Her artwork has always inspired me and I've seen how her creativity and self-expression through art has built her confidence. 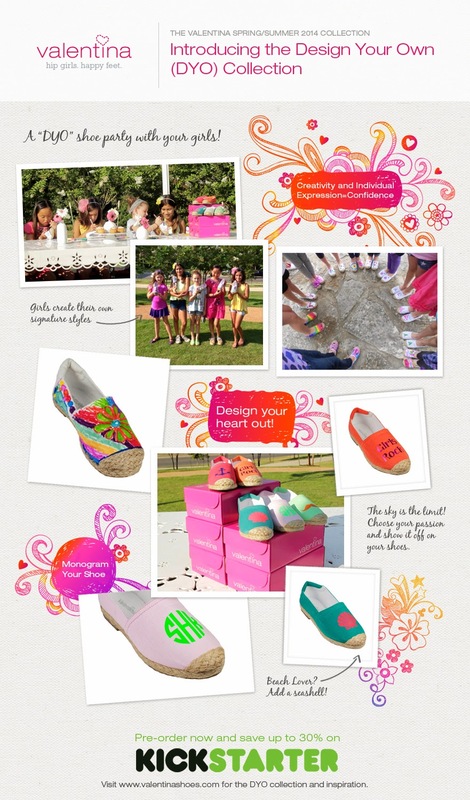 So, two years ago, I set out to build a company that fosters creativity among girls through bold, beautiful shoes. 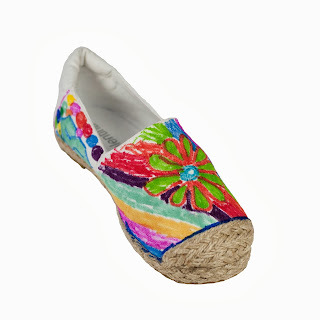 We started with a small collection that included a white canvas espadrille, a blank canvas for blooming artists. We told girls to draw, design and create their own signature style. The results were amazing, their confidence soared!" But, production is expensive and requires funding up front in order to cut the first canvas. So, the funds pledged will provide us the capital needed to meet minimums and produce this new line. As you see from our photos, we have paid to produce samples to assess craftsmanship, inspect materials and ensure the manufacturer turns out quality products. They have passed the test, and now we hope you will support our project, and give your girl the ultimate gift of creativity and confidence. She will "heart" you for it! We are offering this new collection at a special discounted rate to our Kickstarter friends only, at 20-30% off. That gives us happy feet! NOTE: Don't worry about selecting a size today. When the shoes arrive in February, we will provide you a printable, measurable size chart for you to measure your girls feet. And it can be shared with others in case you are gifting a pair. We will contact you to make your size and design selections prior to shipping. For your pledge, we will give you a virtual "high 10". We will also list your name on our gratitude page on our website. We will have a heart full of gratitude and happy feet! I know my daughter is in love with this idea and most girls would be they get to truly design their own shoes however they would like, and who wouldn't love that! !